Our substation operating poles, or earthing rods, are manufactured from a lightweight resin-impregnated fiberglass of a high electrical insulation grade. The poles are machined to provide rigid assembly and include a double snap action spring locking device. 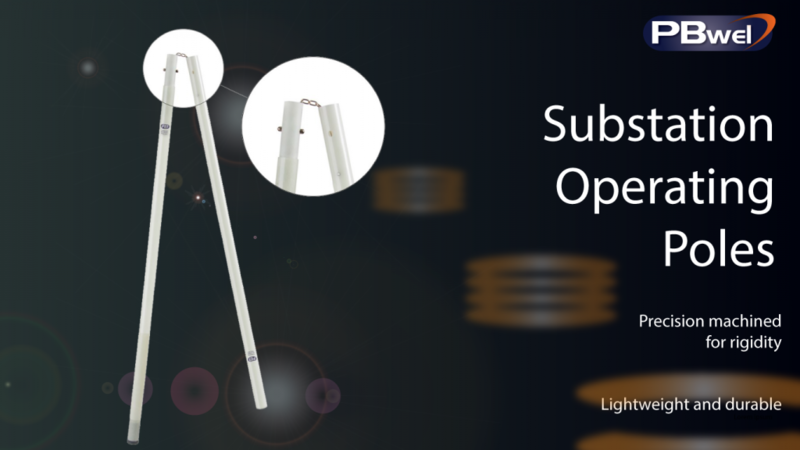 Operating poles are available as 2.44m (4ft) top and bottom single sections or two 1.22m (4ft) sections permanently linked to avoid a 1.22m (4ft) length of pole being fitted with an operating socket. Our recommendation for operating sockets for substation use are the S9D ESI S1 and CEA/S ESI S2 to fit our operating poles. All of our operating poles are manufactured, tested and approved to the ENA technical specification 41/21. Operating poles should normally be limited to a length of 4.88m (16ft) long as it is considered that 4.88 (16ft) is the maximum length of pole which can be comfortably handled with safety.